As I began to read this morning’s text from the gospel of Matthew (10:7-15), I thought how much easier it must’ve been in the those days to rely on the kindness of strangers. On the other hand, travel was pretty dangerous back then as well. Jesus is instructing the twelve as he sends them out on mission. He tells them to proclaim that “the Kingdom of God is at hand” while they go around healing, driving out demons (whatever that might mean) and even raising the dead. I would presume that if the disciples accomplished those things, people would probably believe that the Kingdom had indeed arrived and would be willing to listen to the message they brought. It seems to me that the greatest challenge of believing would be on the part of the disciples in this case. First of all, they were told to “hit the road” with no shoes, no second outfit of clothes, no walking stick, no luggage and no money! How far we’ve come from that moment when most people agreed, as Jesus said, that “the laborer deserves his keep.” Then, on top of that challenge there was the need for a healthy dose of confidence if they were to do all those things that Jesus told them they were to do. I can imagine myself when I left my formation house in Albany to teach high school in Binghamton believing that I could convert all the students to a love of French in addition to a life of devotion to God. (It was a Catholic school.) Some? Yes, of course. But that’s not exactly what was on the mind of 14 to 18 year-olds, even in the pre-Internet, facebook and Twitter days. Yet even that would have seemed a lot simpler than raising the dead. 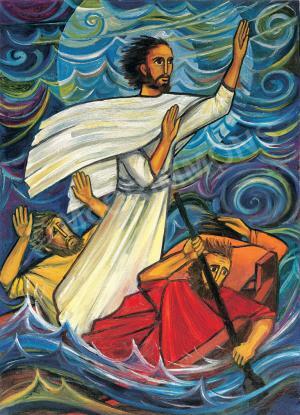 So today, when I feel overwhelmed by the enormity of the task of changing the world – or even just my participation in its transformation – I am grateful for those disciples of Jesus who went out anyway, no matter how inadequate they felt, depending on God more than themselves to get the job done. That’s what it’s all about anyway. I’m totally convinced that on my own I can do nothing but with God, everything, yes, everything is possible if we gather together and believe. Another farming image took my attention this morning. The last few lines in the first reading from Hosea (10:12) sounded so direct and immediate while speaking to the whole of the seasonal process that it was hard to ignore. Sow for yourselves justice, says the prophet, reap the fruit of piety; break up for yourselves a new field, for it is time to seek the Lord. Attentiveness to the needs of the world and actions for the same are two sides of the call to justice – a call to which we are all responsible. Piety is sometimes seen as a virtue closed in upon itself, often coupled with the word “personal” so it seems to ignore others in the quest for holiness. But personal piety, it seems to me if we define it as the dictionary does, speaks of reverence and devotion which cannot help but overflow into our relations with others and the world. How can we be reverent toward God, devoted to the work of God, if we are not aware that all is one in God? Thus, piety calls for justice and justice for piety, so that we do not give in to the frustration and anger that come with the recognition of injustice. Hosea seems to be saying, however, that we are to go beyond our present understandings now. Breaking up a new field says to me something like “the harvest is plentiful but laborers are few.” It’s the last line that makes the whole thing seem so urgent. It’s time, people! Get out there (or go in!) and seek the Lord! It’s a new time and we need to be new people. Dig deeper! Ramp up your reverence! It’s time now. It’s time. 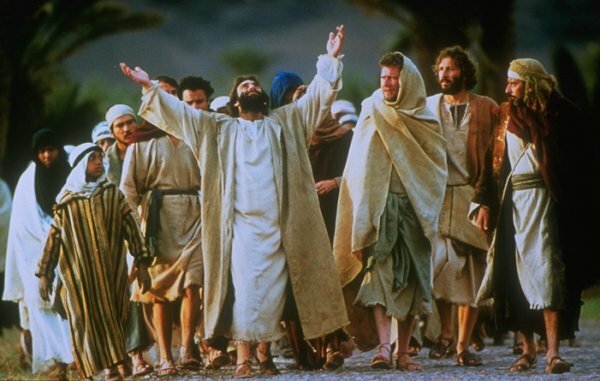 This morning’s gospel has Jesus continuing to address the crowds and being moved to pity for them as they seem to him “like sheep without a shepherd. He says to his disciples, “The harvest is abundant but the laborers are few so ask the master of the harvest to send out laborers for his harvest.” (MT 9:38) In my Church a familiar topic is the dearth of priests to serve the parishes. Some people also lament the drop in church attendance. I know these are both valid concerns and I encourage prayer for vocations to the priesthood and ways to build up parish community. I believe, you see, that the harvest is indeed great. I see a shift in focus, however, and The Sophia Center for Spirituality is a part of that shift. People seem to be longing for some opportunities to deepen their personal spirituality and to connect with others who are searching for the same. 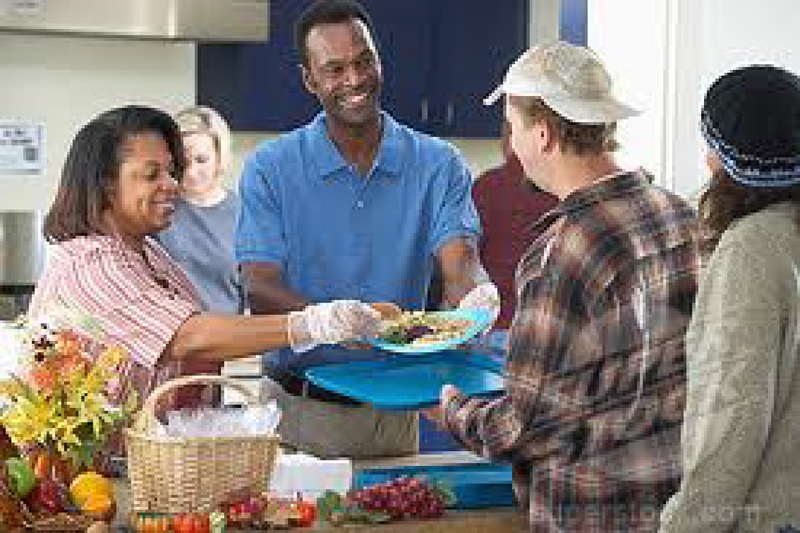 There are many church communities that are vibrant, doing a good job with incorporating different spiritual practices and outreach to their ritual and relationships. Communities of disciples are flourishing. But there are also places where the flowering of community has diminished over some years and especially concerning is the lack of presence of young people in their midst. Brave congregations face the “why” question head on and shift to meet the needs of a totally different population from the one that existed “when we were young.” Letting go of how “we’ve always done it” allows for creativity and welcome to young and old – and all of us in between. Today is a good day, I think, to examine what are the “sacred cows” in my life and how willing I am to give them over to an expanded consciousness of who are the -perhaps unlikely – shepherds who are willing to put themselves at the service of a greater harvest. The next question is where and how to search for the deeper life that might ignite a renewal of spirit in our churches that are struggling. It’s all out there – just as it was in the time of Jesus. 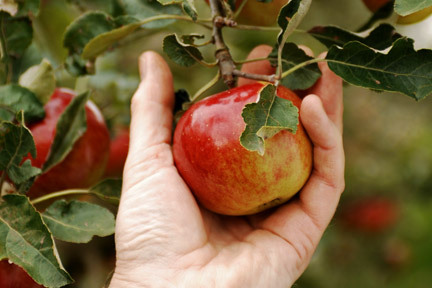 We have only to pray to the Master of the harvest and then start digging! 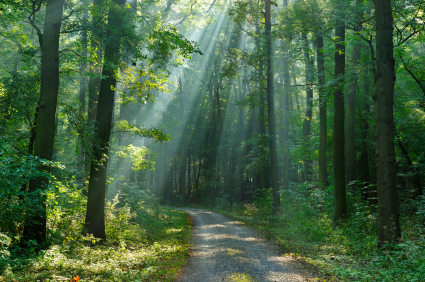 This morning’s gospel reminds me of a “Monday morning feeling” that many people may experience at the beginning of a work week – especially in the summer if the weather on the weekend has been good and the days have been relaxing. Looking forward to the busyness of the week can sometimes cause a desire to turn over and hit snooze on the alarm. In today’s text (MT 9:18-26) Jesus is already hard at it. He’s speaking somewhere when he’s interrupted by an official who approaches quite humbly (kneeling down) and asks that Jesus come to heal his daughter. He’s actually asking for a miracle because the girl has just died. Jesus gets up immediately to go with him and subsequently does heal the girl after telling the mourners that she isn’t dead but just sleeping. That would certainly be enough for one morning – or a whole day’s work, but Matthew (perhaps to make a point about the extent of power that Jesus possessed) inserts another miracle story as Jesus is on his way to the official’s house. 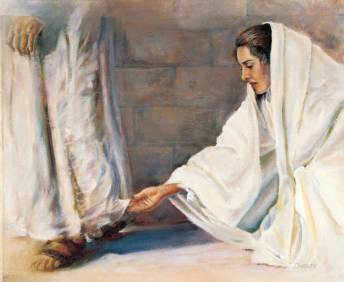 It’s the woman who has been bleeding for 12 years whose faith is such that she believes she will be cured simply by touching the cloak of Jesus as he passes by. She is trying not to attract attention, thinking that since there’s a crowd following, Jesus won’t even notice her touch. But Jesus, ever attentive to the slightest thing, turns around and addresses her, saying, “Courage, Daughter! Your faith has saved you!” And that is really the point of both healings, I think. Faith heals. Faith saves us in our darkest moments. Some years ago I heard an interpretation of today’s most familiar gospel lines (MT 11:29-30) that made sense and has stayed with me. “Take my yoke upon you,” Jesus says, “and learn from me, for I am meek and humble of heart; and you will find rest for yourselves. For my yoke is easy and my burden light.” The picture this conjures up naturally is a pair of oxen joined together by a wooden crosspiece over their necks pulling a plow. The presenter I was listening to didn’t change any words but asked us to think for a moment about what Jesus was really saying to each person. He wasn’t just saying if we trust him our burdens will feel lighter; he was offering to share our burden, to join in the experience. He spoke of my burden indicating that our burden was his burden which he was willing to take on in humility, to give us rest from carrying it alone, to make it easier for us. In other words, he is the other side of the coupling, attached to us as we “pull” the burdens of our lives along. 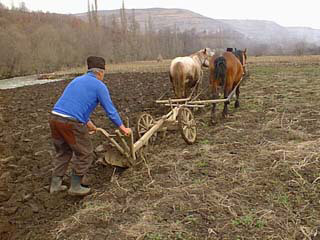 The definition of “yoke” implies a tethering, attachment, joining together that is inescapable. It seems then that Jesus is “stuck with us” – unable to detach until the field is plowed, the tasks are complete and we ourselves are no more. Until that moment, Christ is beside us lightening our load, cheering us on, companioning us in the way that St. Augustine saw things when he said, “God is closer to us than we are to ourselves.” When we recognize this closeness and let go into God, all becomes light. So today, those oxen are replaced in my mind’s eye with me and Jesus walking along, tethered together, hardly noticing what we’re pulling because we are so engrossed in the conversation he has begun about possibility and creative ways of living and the light that comes from within. Although yesterday was the actual Independence Day holiday, many people will go about celebrating for the rest of the weekend. Luckily, Arthur (the storm) has done its damage – less than some predictions called for – and is on its way to Canada and points north in a weakened condition. There is still time, therefore, to pull out the picnic “stuff” and get to the beach, should one be so lucky as to be in close enough proximity to do so. The mood in many places will most likely match the weather; the hope of Thursday being fulfilled at least for some today. The Psalm response for today (PS 85:9-13) is a song that the Hebrew people most likely sang after returning from exile. It is filled with promise and a spirit of hopeful joy. Admittedly, the situation in my earlier paragraph does not compare with this one but the potential for destruction and loss and the relief as the storm passed most likely evoked the same kinds of emotion as what the Hebrews were feeling. As I read the psalm earlier in a contemporary translation, I was thinking about my comments of yesterday and what a fitting conclusion to them these words provide. So I offer it as a conclusion and a hope for the time when our consciousness reaches the point that I was desiring for us yesterday so that the words of the psalmist will take us home. To everyone who turns their face toward you, you come so close and glory floods the landscape of the soul. And in the secret places of the heart your mercy and your truth shall meet at last in full embrace, and right-relationship and peace kiss one another there. So truth is finally born in full, it springs from earth full grown, and heaven reaches out restoring balances to all. And from that marriage prosperity unmeasured fills the lands, and yields a harvest of unimagined good, and makes the path of justice smooth between all peoples everywhere, for everything in you knows perfect peace. My thoughts this morning are many and varied as I consider my good fortune of being born in this country of freedom and privilege and of the many definitions of wealth. There is also excess and imbalance and abuse of all those things, calling me to ponder the responsibility that is the close companion of all privilege. While the government seems to be in a shambles of division, the weather causing untold heartbreak of loss and destruction and violence at a level that makes us wonder where we’re going, still I sit in a room of my own and know that I will soon eat breakfast and that will not be my only meal today. I know that is not true for everyone in this country but my gratitude is great for the many organizations (including my own religious community, the Sisters of St. Joseph) as well as individuals who are striving to eradicate hunger for all citizens. And many people will travel many miles – or share their backyards – to celebrate this day with others. I find the gospel passage (MT 9:9-13) an interesting coincidence for today. After the call of Matthew, the tax collector, to discipleship Jesus hears the Pharisees questioning his choice as he sits with “tax collectors and sinners” at his house. They wonder why he would choose “people like that” as companions. Jesus answers in the following way that I think is a good meditation for such a day as today. He says, “Those who are well do not need a physician, but the sick do. Go and learn the meaning of the words, I desire mercy, not sacrifice.” This response helps me to forgive myself and others for taking all that we have for granted and calls me to wake up (as is the call every morning) to the needs I see and ponder how best to respond to them to grow our society toward the vision on which the country was founded. But I’m also interested in the notion that Jesus did not desire sacrifice. Mercy, if defined in the best way I have found as derived from the word merc, includes the concept of exchange, as in commerce or merchant. In that way mercy can be seen not as pity or condescension (“Have mercy on me!”) but rather as an exchange, in the best sense, of love or relationship. 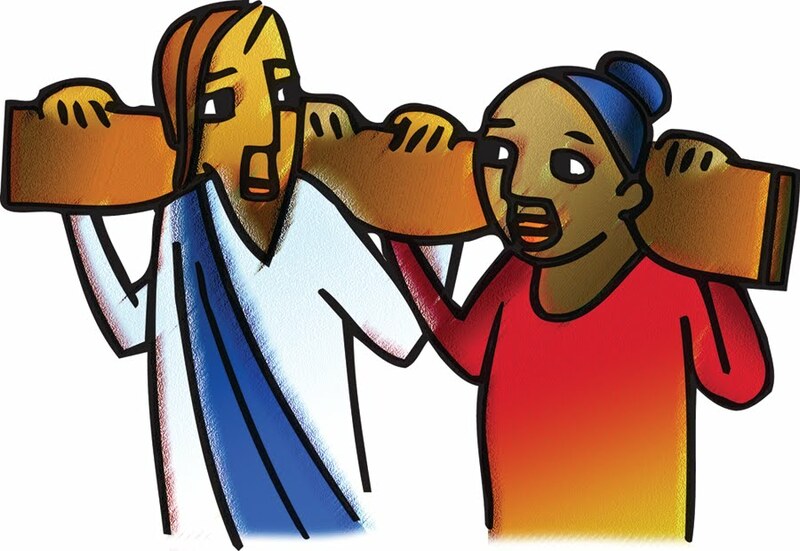 Relationship calls us to pour ourselves out for another – the message of Jesus best learned from his example – as an act of the love engendered by the exchange. Thus, nothing is lost/sacrificed except our ego and what is gained is transformation into the persons we are called to be. A noble thought as we pray for God to bless America today. 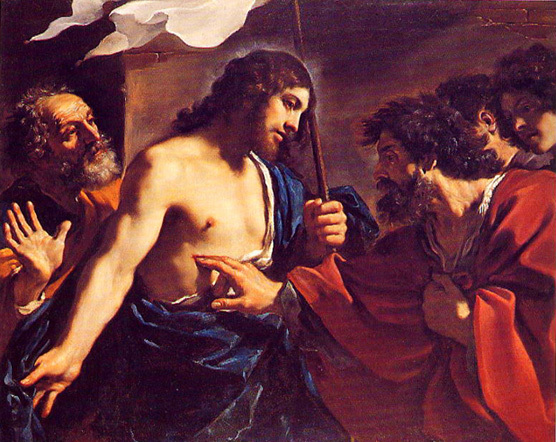 Today is the feast of St. Thomas the Apostle. He’s the one with the bad reputation, the one reported to have refused to believe in the Resurrection of Jesus because he wasn’t present when Jesus walked (literally) through the door that first time when all the others were gathered. He needed more. He said he wouldn’t believe unless he saw and touched the wounds of Jesus. We shouldn’t be so quick to judge Thomas though. After all, the whole thing was pretty astonishing and he was the only one not there. If I were in their company, still thinking that Jesus was a totally human “messiah” (anointed one) whose mission was to restore the throne of David (literally), the concept of resurrection would have been foreign enough to make me demand a little proof, I think. The others were terrified when he arrived that night so why do we think that any of them, having missed the visit, wouldn’t have needed more in order to believe that Jesus was, in fact, alive? This morning’s gospel reading (MT 8:28-34) made me think I was reading a sketch for a cartoon that could easily be visualized. I mean no disrespect but I could see the two “demoniacs” (people who were possessed by an evil spirit) walking from a cemetery toward the person most full of light and pleading with him to have nothing to do with them. 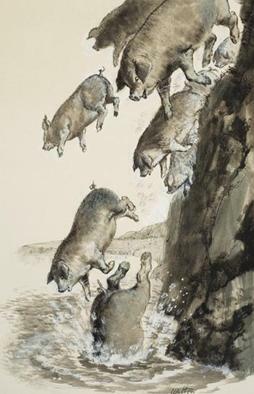 The light-filled person (Jesus) spies a herd of pigs, pulls the demons out of the men and sends the demons into the pigs whereupon the pigs rush down a steep bank into the sea and are drowned. If it were a cartoon, children (and adults) would laugh at the flight of the pigs and cheer for the healer as well as the healed. But the story is not meant to be entertainment. It speaks to the reality of evil in the world. We don’t much hear about exorcisms in our day (except in movies) but they do happen. Additionally, we are praying constantly for evil to be overcome and peace to come to our world. Without undue anxiety, we need to recognize that all is not right with the world and we need to do whatever we can to assure that we are not seduced by poor choices or laziness in our spiritual practices. In this way we will add to the light rather than allowing the darkness. And just one more note. Recognition of bad influences is not always easy. Take the cartoon, for instance. There has been a lot written about the violence contained in such entertainment. I would never – as a child – have called Bugs Bunny or anyone associated with him a violent creature but there’s a lot of physical and verbal violence in those “oldie but goodie” scenarios. And today the visual images change so swiftly in movies (animated or not) and even commercials that our conscious minds cannot always process them although the images are entering our visual field sometimes subconsciously or totally without our awareness at all. While my day does not promise a trip to the movies, I will try to stay aware of what is coming at me in my experiences of the day so that nothing can slip in without my knowing it and so that more light will be my goal in everything I do.